Aviation for Humanity is a not-for-profit organization that delivers school supplies through the network of international aviation by bringing educational resources directly to students and communities in need. Aviation is a global industry. Thus, it takes on a global responsibility. Not all communities enjoy the benefit of aviation, yet their lives are affected by globalization. Have you ever taken a flight? Seen an airplane? Or, benefited from tourism in any way? If ‘yes’, you are part of the aviation community. From pilots to passengers and anyone in between, you can help bring educational tools to communities lacking the most basic necessities. You can provide notebooks and pencils to school children in rural Cambodia. Or, provide necessities for a village school to operate in the remote regions of Botswana. You can make a difference. Aviation for Humanity collects both educational resources and monetary donations to deliver basic necessities directly to villages, schools, and students. It is a way for anyone who has ever benefited from aviation to aid those who have not. Did you know that there are more than 34 million out-of-school primary-aged children in Africa? Or that the average literacy rate in the Oceania region has actually declined in the last ten years? There are school children in the world that will never know the luxury of sitting at a desk or owning their own pencils. World literacy affects us all. With your help, Aviation for Humanity can provide resources to help bring about a positive change to remote places worldwide. It is how a global industry takes responsibility for a global issue. We are all part of the global community! Update: We now have an Amazon Wish List! ​There are now multiple ways to support our efforts. Please click here to find ways to variety of ways to get involved. Thank you for your support! 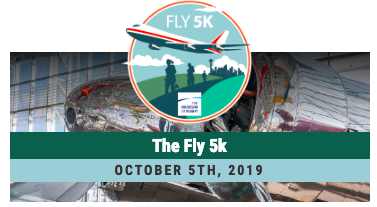 Event: Aviation for Humanity is honored to be the charity of choice for Orca Running's Fly 5k in Seattle this October 5th, 2019! Please consider running or volunteering. More info here! Where in the world have we been lately? "There are roughly 124 million school-aged children around the world who are not attending school. And, this happens for a variety of reasons. But, with more than 100,000 flights per day transporting 3 billion people around the world annually, a lack of school supplies and books should not be one of them. Aviation is a global industry that can help take care of a global issue. Let's make a change together." ﻿Visit us on Facebook, Twitter, LinkedIn or email. We look forward to hearing from you! Aviation for Humanity is a nonprofit charity recognized as tax-exempt by the IRS under Section 501(c)(3). EIN: 81-3603039. All donations are tax deductible to the extent allowed by law. You will receive a US Dollar donation receipt once your donation has been made. Thank you!